Scared of speaking English in front of people? Do you get nervous when you have to speak in class, at meetings or even social events? You are not alone. Speaking anxiety is one of the most common problems students face. 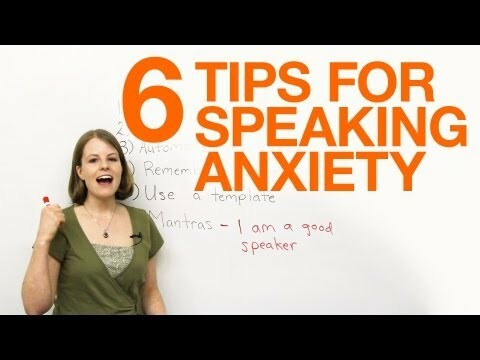 This video will give you six ways to overcome speaking anxiety. I have used each of these tips myself and know that they work.